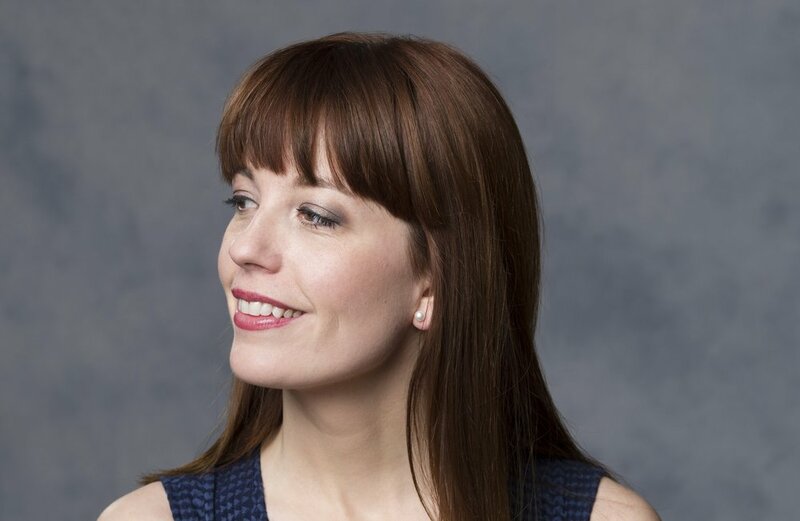 The Arts Club Theatre Company's new artistic director Ashlie Corcoran. 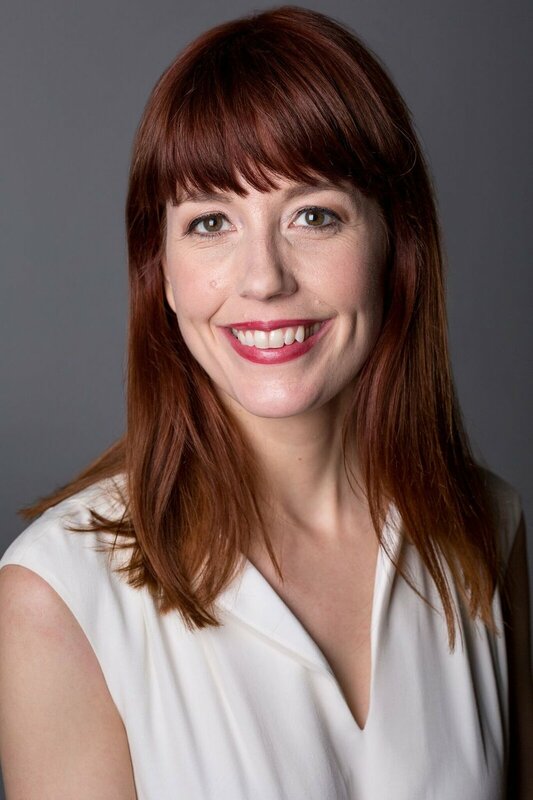 As the Arts Club Theatre Company's new artistic director, Ashlie Corcoran takes on one of the most prominent arts positions in Western Canada. For five years previously, Corcoran had been the artistic director of the Thousand Islands Playhouse, near Kingston, Ontario. She is the founder and artistic producer of Theatre Smash in Toronto, and has also maintained a busy freelance schedule—directing works for such companies as the Canadian Opera Company, the Shaw Festival, Opera Philadelphia, and Tarragon Theatre, as well as many productions at Western Canada Theatre. Born and raised in White Rock, Corcoran, 38, told The Globe and Mail that landing her new job was "like winning the dream life lotto." For this 20 Questions feature, we asked members of the community to submit questions. Altogether, we presented Corcoran with nearly 40 queries, allowing the busy director to answer any number of them at her discretion. Here are 20 responses. 1. What do you think is your biggest challenge taking on this job? My biggest challenge—and opportunity—is to meaningfully and significantly get to know the local community and individual artists. Now that I am finally here full-time, I am jumping in whole heartedly. My iCalendar is booked up chockablock with one-on-one coffee dates with artists, general auditions, show specific auditions, evenings booked to see shows at other theatre companies, mix and mingle soirees, etcetera, etcetera, etcetera. It is very exciting to get to know this incredible community. 2. The Arts Club is a de facto leader in the theatre community. How would you like to evolve this leadership position? I have a baby theatre company that I founded thirteen years ago called Theatre Smash. Smash has benefited immensely by being in residence at larger theatre companies—and I want to bring those sort of benefits to emerging companies here in Vancouver. As a result, we are starting a company in residence program next season, with Hardline Productions as our inaugural troupe. As an individual artist, similar types of residences at large companies have really helped grow my own artistic practice. I look forward to offering the same kind of experience to artists and practitioners here in Vancouver. 3. What have been your top three meaningful theatre experiences? 4. The Arts Club’s mandate accommodates the programming of plays (and musicals) widely considered to be “classic”—some of which I've had the pleasure to direct—and that are arguably not compatible with contemporary representations of women, people of colour, and differently abled individuals, among others. Certainly, context helps navigate changing values, however, should these works continue to be produced? If so, how does the Arts Club intend to address the current reality of representation on stage in the programming of these plays and musicals? When programming works, I do look for shows that celebrate positive, inclusive and progressive values. That being said, I have both programmed and directed classic works that were a product of their times. Personally, my aesthetic as a director has led my process—and therefore the final product—to investigate and challenge these representations within the artwork itself. While just directing Mamma Mia! at the Citadel, I kept on joking—while being quite serious—that we were doing a modern feminist 2018 re-envisioning of a modern, feminist 1999 musical. Societal sensibilities, values, and outlooks continue to evolve; we are lucky to work in an art form that can reflect and respond in immediately temporal and geographically specific ways. 5. How important is the visual element of design, in your creative and directing process? Incredibly important—I begin collaborating with all of my designers right from the very beginning of my process. Design shouldn’t just be aesthetic—but also dramaturgical. I love being a dreamer—and a creative problem solver—with my design partners. 6. Have you ever designed a show? I was an avid lighting design student and baby practitioner in university. 7. How do we give opportunities to young, up and coming designers? We provide mentorship, internships, advice, time—and also we hire people to do things that are a bit beyond their past experience. I know I would never be where I was today without people taking “chances” on me in this way. 8. My question concerns what I think every actor and director will want to know, which is: How should they go about getting hired at the Arts Club? They should reach out to us—and let us know they are interested in working with us. I am trying to have as much face time with as many people as possible: Arts Club regulars to recent graduates. This is a great community full of talent. Corcoran: "I am trying to have as much face time with as many people as possible." 9. How do you as artistic director of the Arts Club plan on fostering young talents who have just finished or are just finishing their professional training? I am excited to implement artistic internships in the future. I am also committed to getting to know the graduating classes of each of the local training centres in our province. And, the Bill Millerd Artist Fund is also going to provide self-directed opportunities for artists of all ages. 10. What programming are you planning to draw in younger audiences? I hope younger audiences are excited about much of my programming. Certainly, the way we are playing with content and form and also audience/performer relationship on the Goldcorp Stage may draw adventurous audiences of all ages. 11. You have directed both theatre and opera productions. What is the difference for a director between the two types of stage production and are you planning to direct more opera (hint, hint)? Oh gosh—I hope to direct more opera! I love it. Opera and theatre are completely the same—and totally different. I love that in opera there is a real structure to work around. The music creates the timing, pacing, and rhythms that we work to discover in theatre. This means that as an opera director, you need to figure out how to tell your version of the story within a particular temporal structure. I find in some ways, it has made me even more visual as a stage director. 12. What kind of system(s) will you put in place to ensure that there are more plays by and about Indigenous people and people of colour on your stages? As you know, almost half of Vancouver's population is of non-European descent. What steps will you take to reflect that reality in casting, directing, and in the content of the plays that you program? Inclusivity and diversity—with the broadest definitions of these terms—are things I feel very passionate about and are things we need to be considering and acting upon holistically on all levels of the organization, as well as in all of our artistic approaches. This means continuing to create new play development systems and structures that support the creation of new work by diverse people; it also means programming works by diverse people, and hiring diverse directors, performers, designers, and creators. It means ensuring our outreach, professional development activities, and mentorships are inclusive. It means reaching out to collaborate with specific companies, communities, and artists. It means supporting companies with our resources that are already doing this kind of work. And, it means engaging in meaningful audience outreach. And of course—all of this is just the start. 13. What is your favourite (most overused) word? 14. Who is your favourite poet? 15. You’ve introduced a new program: an Arts Club resident company, this year starring Hardline Productions. How will next year’s company be determined? To be honest—I don’t know yet. I am not sure if it is best to do a call for submissions, or if it should be curated in a different way. I’d love to hear any thoughts on people’s dream approaches. Of course, the most important part of it is to make sure I am seeing lots of local work by independent theatre companies—so please keep those invites coming! 16. Which play in your debut season are you most proud of that it is included? I am thrilled to have programmed a new play—based on Chekhov!—on our Stanley Industrial Alliance Stage. I have been a huge fan of Sarena Parmar’s The Orchard (After Chekhov), since reading a first draft. I am thrilled our audience will see this deeply local and diverse story. 17. Why are remounts necessary? They, of course, allow for financial stability for arts organizations. But, what I love about them is the opportunity they give artists to dig deeper and continue to hone their story. In this current season alone, we have remounted two productions by local playwrights (Onegin and The Day Before Christmas). Next year we will remount three productions by local creators: Mom’s the Word, The Piano Teacher and Circle Game. I believe this is a great way to celebrate the success of these new plays. 18. What do you like most about Vancouver? That my entire family lives in the Lower Mainland and Vancouver Island. Oh, and one cousin and his family—including their brand new baby whose name is Banks [no pressure] —in Fort St. John. 19. Best advice you’ve ever been given? The best advice I was given about being a theatre director was from Peter Hinton. He was leading a directors’ lab I participated in at Magnetic North. He shared with all of us—an incredibly diverse room—that to be a good director, we just had to be ourselves. There is no point in pretending you are someone else, or trying to emulate another person’s working style. Authenticity of self is key as a leader and as an artist. 20. Superpower (or talent) you wished you possessed? Being able to teletransport myself.